So, Where in the Pattern is the Upwind? Takeoff and climb out is not the upwind. Yup, I know lots of people call the “upwind” in the traffic pattern as they climb after takeoff, but they are actually calling “upwind” in the wrong spot. And being accurate when you tell people where you are in the traffic pattern can be important. I’ll admit, this is something of a pet peeve of mine, but let’s all learn from it. So what exactly is an upwind you might ask if it isn’t when you are climbing out after takeoff? Well, according to the AIM (4-3-1), an upwind is “a flight path parallel to the landing runway in the direction of landing.” It is not the takeoff or climb out (which is actually not labeled in the AIM). What is the importance of the distinction you may ask? Well, it’s about whether you can be expected to be parallel to the runway flying in the direction of a takeoff, but at a pattern altitude, or whether you have just taken off and will be climbing in line with the runway to traffic pattern altitude. Both a takeoff or climb out and an upwind may be followed by entry to the crosswind if a pattern is to be flown. So why would someone fly an upwind? 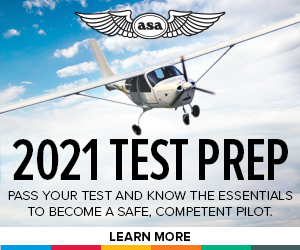 While this may not be as critical in slower aircraft, in higher performance aircraft, aircraft with retractable gear, or aircraft that need to descend from turbine pattern altitudes (remember these are typically 1500′ AGL instead of 1000′ AGL) this can be valuable extra time that keeps a pilot from being rushed. 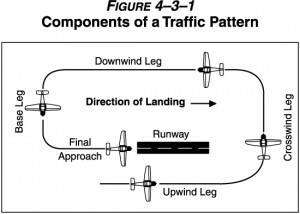 For pilots sharing the pattern, it means that they should actually be looking for aircraft who have reported the “upwind” to be flying a parallel line to the runway, not on the takeoff/climb out portion of a traffic pattern. So if you didn’t before, now you know. Next time you are taking off and climbing out and need to make a traffic pattern call, report takeoff or climb out if that’s what you are doing instead of calling the “upwind.” And if you hear someone else reporting the “upwind,” you now know where you should be looking for them (assuming they know what you know about what an upwind really is). Jason, it’s a pleasure to hear someone else express the same view as I do about what and where the “upwind” actually is. I’m a former CFI and retired air traffic controller plus I taught Air Traffic procedures in the training labs at the FAA Academy in OKC. Part of the problem I believe is that when the wrong definition of the upwind is given by an instructor then that has to be gospel and isn’t challenged. Also if enough people use the wrong explanation of the upwind then it spreads as if its correct and normal. (No matter how many times they read the FAA’s definition) I know I was sometimes in the minority explaining this to other instructors and students at the air traffic academy. One thing that didn’t help was our voice recognition in our training labs. It wouldn’t recognize “extend departure (leg) one mile” for example. It would only understand “extend upwind”. So we sent out hundreds of air traffic trainees with that phrase planted in their minds and using it in the field which also translates to the pilots that if the controller is using it then it must be correct. Keep up the good work on this and being true to the FAA’s written definition of it. Darn, am I surprised to see that someone else has identified a failure of the FAA to insist on student training to this subject. As a past Examiner, I used to insist that the applicant knew all aspects of the traffic pattern for their safety and those around them. Thank you for this article. I am trying to disseminate your information to those that I think can comprehend.